The first matrix switches able to support uncompressed 4K 60Hz 4:4:4 video. 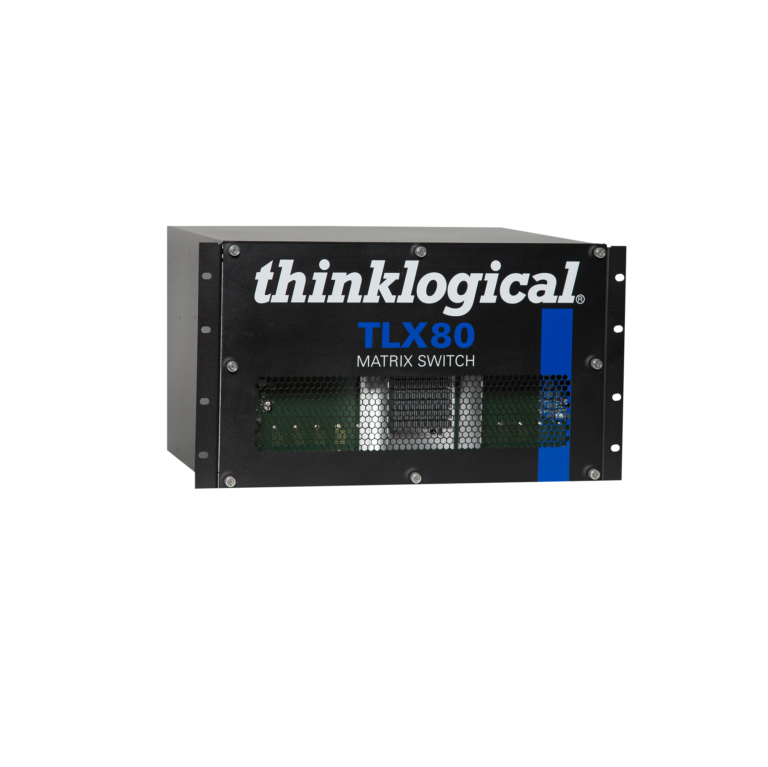 The TLX series offers protocol agnostic, non-blocking 10Gbps performance and a flexible and efficient hybrid fiber/copper architecture, scalable from 12 ports to 640 ports. IA-accredited for use in secure, multi-classification environments. 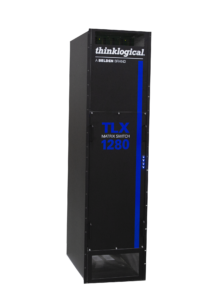 The TLX1280 is a 1280 port, protocol agnostic, non-blocking 10Gbps matrix switch that supports video, audio and peripheral signals over multi-mode or single mode fiber optic cable or CATx cable. 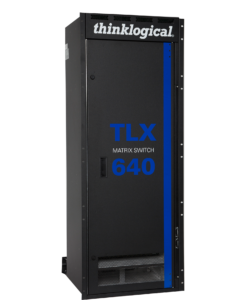 The TLX640 is a 640 port, protocol agnostic, non-blocking 10Gbps matrix switch that supports video, audio and peripheral signals over multi-mode or single mode fiber optic cable or CATx cable. 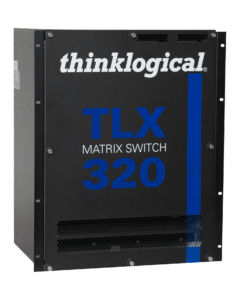 The TLX320 is a 320 port, protocol agnostic, non-blocking 10Gbps matrix switch that supports video, audio and peripheral signals over multi-mode or single mode fiber optic cable or CATx cable. 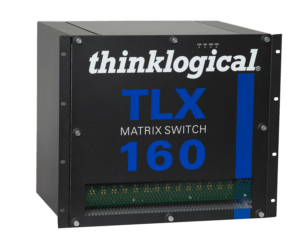 The TLX160 is a 160 port, protocol agnostic, non-blocking 10Gbps matrix switch that supports video, audio and peripheral signals over multi-mode or single mode fiber optic cable or CATx cable. 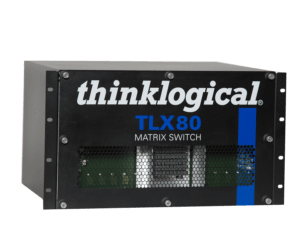 The TLX80 is a 80 port, protocol agnostic, non-blocking 10Gbps matrix switch that supports video, audio and peripheral signals over multi-mode or single mode fiber optic cable or CATx cable. 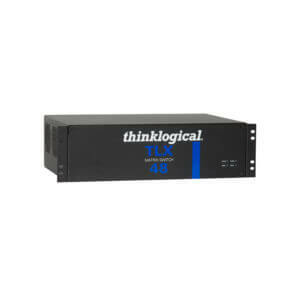 The TLX48 is a 48 port, protocol agnostic, non-blocking 10Gbps matrix switch that supports video, audio and peripheral signals over multi-mode or single mode fiber optic cable or CATx cable. 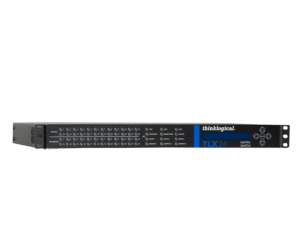 The TLX24 is a 24 port, protocol agnostic, non-blocking 10Gbps matrix switch that supports video, audio and peripheral signals over multi-mode or single mode fiber optic cable or CATx cable. 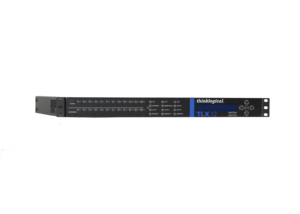 The TLX12 is a 12 port, protocol agnostic, non-blocking 10Gbps matrix switch that supports video, audio and peripheral signals over multi-mode or single mode fiber optic cable or CATx cable.